One of my readers had some questions about egg vacuoles in IVF so I thought I’d touch on this topic today. Vacuoles look like roundish areas in the egg. They can be large or small, many or few. Sometimes they can be mistaken for pronuclei but unlike pronuclei, vacuoles are clear inside, and don’t have nucleoli (small dark spots) like real pronuclei do. You can see pictures of eggs with various abnormalities here. What are egg vacuoles? The normal egg has a smooth shiny cytoplasm. Vacuoles are little round-shaped clear looking structures inside the egg that are not usually observed in normal eggs. These structures appear to an aggregation of the smooth endoplasmic reticulum (SER) according to an article published in Human Cell which describes eggs analyzed using transmission electron microscopy or TEM. The SER is an organelle found in lots of different cell types and has various functions such as synthesis of lipids and steroids, metabolism of carbohydrates, regulation of calcium concentration, drug detoxification, attachment of receptors on cell membrane proteins, and steroid metabolism– depending on cell type. The SER can also contain an enzyme called glucose-6-phosphatase which plays a role in the manufacture of glucose molecules in cells. Sometimes the SER is a network of tubules and vesicles and sometimes it shows up as enlarged sacs. I tried to find out which of these functions might be egg-specific but couldn’t find much in a quick internet search. In “Portrait of an oocyte: our obscure origin”, Roger Gosden and Bora Lee, paint a rather detailed picture of the human egg from a molecular perspective but little is mentioned about how vacuoles might arise except a brief mention that vacuoles may arise from ” obstructed ER (endoplasmic reticulum) tubes”. What causes vacuoles to appear in eggs? The seem to be more common in eggs that are overly mature or aged in culture. Age may also be a factor since in older eggs, the SER is more likely to aggregate into clusters. Two studies, the “Ultrastructure of tubular smooth endoplasmic reticulum aggregates in human metaphase II oocytes and clinical implications” and “The relationship between pregnancy outcome and smooth endoplasmic reticulum clusters in MII human oocytes” conclude that having eggs with vacuoles is associated with impaired fertilization, poor embryo development and lower positive pregnancy outcomes. This article describes how the presence of various abnormal cytoplasmic inclusions (a variety of wierd structures that don’t belong) are associated with poorer fertilization rates using ICSI. If the vacuoles are large or numerous, from a technical perspective, it may be hard to inject the sperm into the egg cyctoplasm without hitting one. Also, at fertilization there is a lot of activity going on inside the egg, with the formation of pronuclei and then transporting the male and female pronuclei toward each other along microtubules that make up part of the cytoskelaton of the egg- toward their union (syngamy!!) It is not too hard to imagine that big aggregates of anything inside the cell could interfere with these highly orchestrated events. In another study, high estrogen levels in the IVF cycle were also associated with increased vacuoles in eggs. Estradiol levels rise as the follicles grow in response to follicle stimulating hormone (FSH). Bigger follicles make more estrogen. Sometimes estradiol levels can rise too much, too fast, increasing the risk that the patient may suffer ovarian hyperstimulation syndrome or OHSS which could cause severe respiratory and cardiac issues due to extreme fluid retention which can even cause death, in extreme cases. To avoid the extremes of both hyperstimulation and poor stimulation, your physician must thread the needle between having you take too much or too little FSH (typically FSH is prescribed as Follistim or Gonal F). Too little and you never make mature eggs and too much, your eggs may become post-mature. Post-mature eggs are also more likely to have vacuoles. In the case of my reader who asked about vacuoles, she shared that she is young (under 35 years old) so not automatically at risk for poor egg quality. She had a robust ovarian response, yielding 34 eggs at retrieval of which 27 were mature and 23 out of 27 mature eggs fertilized. She had adequate embryo progression with 16 embryos of good and fair grades on day 3 but on day 5, there were only 3 pre-blast embryos. The remainder did not progress to blast even on day 6. She mentioned that vacuoles were observed by the lab techs in some of the retrieved eggs. She also mentioned that her FSH level was cut in half near the end of her stimulation. Perhaps some of our reproductive endocrinologists may want to comment on this as a factor but I think it is safe to say that the desired stimulation endocrine profile is a slow but steady increase in estradiol levels. A sharp rise in estradiol, followed by a steep drop is not desirable for good egg quality. So the appearance of vacuoles inside the egg cytoplasm may be associated with both over-ripeness (aged eggs) and overly high estradiol levels. Generally speaking, egg quality is determined by a variety of factors including genetic health (normal chromosome number) , cytoplasmic health (the poorly understood components inside the liquid center of the egg that run the normal egg machinery) and the effectiveness of the stimulation protocol to “fool” mother nature into bringing about the final stages of egg maturation in response to prescribed stimulation medications. Vacuoles in eggs are certainly not desirable. Because of the relationship of vacuole formation with overmaturity and estradiol levels, it seems reasonable that a different stimulation protocol may yield mature eggs without vacuoles in a subsequent cycle. Thank you so much for the information, and especially all the references! I also was told when trying to donate an egg that I had clumping of the smooth endoplasmic reticulum and therefore possible poor result in future cycles. However, the embryologist and gynecologist could not tell me whether this could have been due to a hyper stimulated cycle, oestrogen over 20000 and a dose reduction of medication mid cycle. I am now trying another cycle and will see if there is a different result with this. Donor cycle no mature eggs. All clumped. Have been advised to proceed using egg donor. I too have faced the same issue. Had 3 IUI failed, and 2 failed IVF. My age is 28, facing non classical pcos, and hyperthyroidism. Doc says there are vacuoles in the eggs and cytoplasmiv bridges,and have advised egg donor. Yes my previous RE has said that its due to genetic problems. I am sorry that you are having such a hard time. This article which I also reference in the post http://humrep.oxfordjournals.org/content/19/7/1591.full, suggests that high estradiol levels during stimulation may be one cause of smooth endoplasmic reticulum clusters (sERCs). If your estradiol levels shot sky high, a better modulated stim may be helpful. Not all doctors are created equal. Some have more experience with many different stim types and can personalize the stim better for patietns. This usually comes with expereience too. Second cycles are often stimmed better because the doc has learned how the patient responded from meds in the first stim and can make adjustments based on that experience. I do not know of any medication that you can take to “cure” this sERC problem. 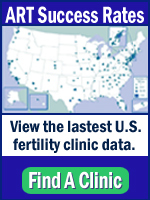 I would be wary of supplements or drugs that may be advertised to promote fertility. Please talk to your doc about any and all meds/supplements you are thinking about taking because some can actually make things worse, not better. The general approach to holistic infertility is don’t smoke, watch your alcohol intake, try to be at or get to a healthy weight- not too thin or too heavy, make sure your thyroid gland is functioning normally, eat a healthy diet and take a daily vitamin with folate and generally,….be kind to yourself. Talk to your doctor about options. Thank you so much for your reply its highly appreciated as my doctor is not very informative she doesnt even know the any reason for it. Il be going for another RE in our area just for second opinion but as of the moment im just trying to add more herbal supplements like macca, bee propolis, Coq10 and royal jelly to my medicine intake. hoping that it will enhance the egg quality, please continue praying for us and wishing for more baby dust.